With the comfort of our guests as our first concern, we are surrounded by the beauty of our gardens, mountain views and the meandering Slocan River. 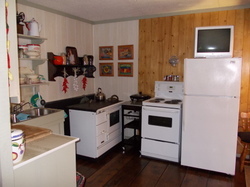 Our accommodation consists of a self-contained refurbished 1950’s cabin with screened in porch. 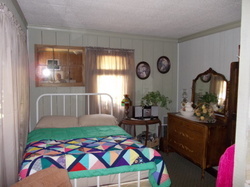 Mature couple only, rentals 2 days minimum or weekly. No credit cards, no pets, no smoking indoors please. Your hosts Willie & Marion Harasemow. One mile north of Valley View 18-hole golf course & diner. 5 miles south of Village of Slocan and Mountain Valley Gas Bar. 2 miles south of Lemon Creek Lodge & Restaurant.